In honour of Jew of the Week’s 7th birthday this November, we will feature a month-long series on the most famous (and sometimes infamous) Jewish family of all time: the Rothschilds. This is part three of five. Click here for part one and here for part two. 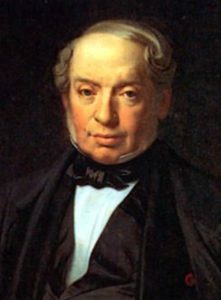 The youngest of Mayer Rothschild’s sons was Jacob “James” Rothschild (1792-1868). He moved to Paris in 1811 and opened a new branch of the family bank in 1817. Jacob play a central role in rebuilding post-Napoleonic War France, and financing the empire’s industrial revolution. He financed some of France’s first railroads and factories, imported tea and other goods, and invested in mining and wine-making. He would become the richest man in the world, and his fortune alone (not including the rest of the family) is estimated to have been over $300 billion in today’s dollars. Jacob, too, was brought into the nobility (becoming “de Rothschild”, while his brothers in the Holy Roman Empire were “von Rothschild”). He served as an adviser to French kings, and was awarded the French Legion of Honour. Jacob also served as an ambassador to Austria. He was a noted philanthropist and arts patron, funding greats like Chopin, Rossini, and de Balzac. He and his wife were French icons, and symbols of culture and sophistication. (When King Louis XVIII refused to host Jacob’s wife because she was Jewish, Jacob stopped doing business with him.) The couple was admired by the French people, and Jacob’s funeral drew countless thousands. 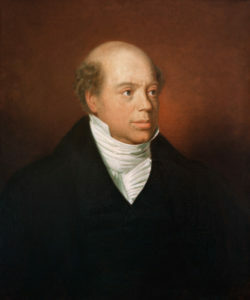 By far the most famous of the Rothschild sons was Nathan Rothschild (1777-1836). He moved to Manchester in 1798 to start a textiles business before opening a branch of the family bank in London in 1805. In 1809, he switched his focus to dealing gold, and in 1811 won a contract to take care of British payments to their soldiers fighting Napoleon. Nathan won this contract because, unlike other bankers, careful coordination with his brothers allowed him to transport gold safely across war-torn Europe. By 1825, Nathan’s bank was so wealthy and successful that he single-handedly saved the Bank of England from a serious crisis. Nathan, too, was a philanthropist, as well as a social justice advocate, playing a key role in the abolition of slavery in the British Empire. At the time of his death (from an infection), he was the wealthiest man in the world. Nathan is infamous because of a myth that he made much of his fortune by speculating on the London stock exchange one day. Supposedly, he knew that the British had won the Battle of Waterloo before everyone else, and created a false panic by selling all his bonds as if Britain had lost. This led everyone else to sell their bonds, too, before Nathan quickly bought them all for very cheap right before news of Britain’s victory came and bond prices soared. Researchers have traced this legend to an anti-Semitic French pamphlet published ten years after Nathan passed away. It has no historical basis, nor does it make any sense according to both financial and historical experts. Accurate estimates suggest that if Nathan made any money at all from knowing about the Battle of Waterloo, it could not have been more than a million pounds. Nonetheless, the legend persists and is popular among conspiracy theorists. (Nathan did make a fortune in bonds some years after the war.) Interestingly, Nathan also played a critical role in Brazil’s independence from Portugal. His son Lionel, whose life we shall explore next week, continued to run the London branch, and it would go on to become the most successful of them all. Click here to go to Part Four. This entry was posted in Business & Finance, Law, Politics & Military and tagged Abolitionists, Bank of England, Banking, Bonds, British Jews, Charity, Conspiracy, Finance, France, French Jews, German Jews, Industrial Revolution, Jacob de Rothschild, Legion of Honour, London, London Stock Exchange, Napoleonic Wars, Nathan Rothschild, Paris, Patrons, Philanthropists, Rothschilds on November 15, 2017 by Jew of the Week.